“Blessed are those who love animals, for they shall preserve the Earth.” I’m misquoting the Sermon on the Mount for a really good cause. Environmental protection looms large in our minds right now due to the extreme threat our planet faces from climate change and the missteps we humans continue to make. Whenever we think of protecting our planet, we also need to think of the other sentient beings who have something at stake. We are not alone. We live here with an incredible array of other life forms whose existence also hangs in the balance. And their welfare impacts ours in every way. Our natural world is a complex interconnected system of human, animal, and plant life. We now know that the health and well-being of animal and plant populations reflect the quality of the environment we share. Think canary in the coal mine. We function with the millions of other living species on our planet as part of a finely balanced system. The loss of any single species can create a ripple effect that will eventually touch all of us. The ecosystems of the earth function smoothly because of biodiversity—the full array of diverse life forms that populate our planet. Biodiversity, it turns out, is critical to ending poverty and promoting shared prosperity for the millions of people who depend on nature for their livelihood. When species disappear or fall in number, ecosystems and people suffer—especially the world’s poorest. We can’t know how valuable a species of animal or plant may be for us in the future. Everything is connected. When we protect endangered species, we also protect the ecosystems that permit us to live. Naturalist and author Paul Rosolie writes about the urgent importance of preserving endangered species, “Wild animals keep our world alive. 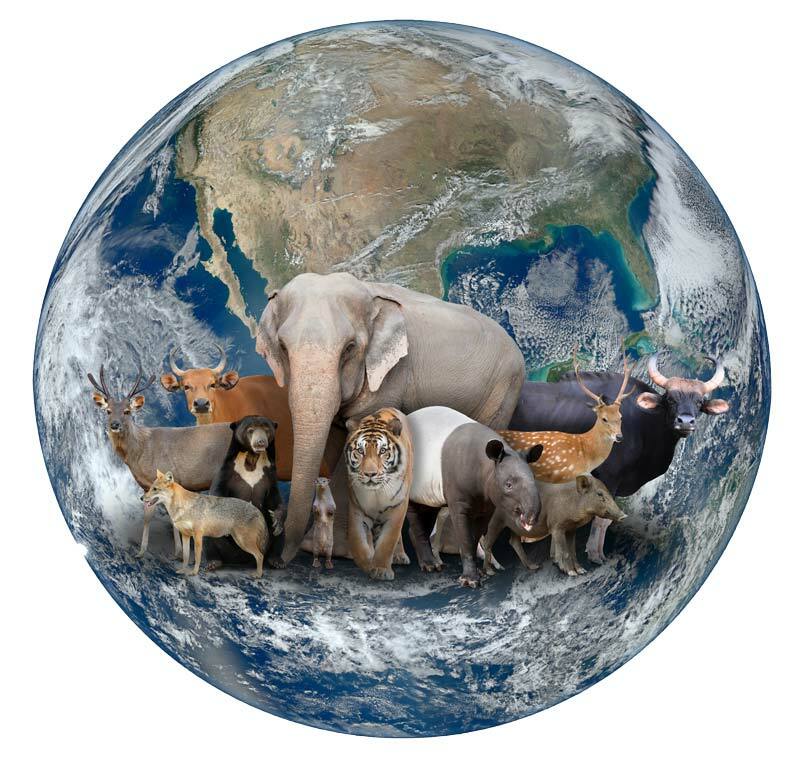 Without them, there is no us.” We don’t want to find out what the world would look like without our fellow creatures, and yet the problem of disappearing habitats and dwindling animal populations continues to grow. Just two months ago, the world’s last male northern white rhino, “Sudan,” died, leaving only two females left. Among other endangered animals are tigers and other big cats, elephants, gorillas, sea turtles, black rhinos, blue whales, and whooping cranes, to name the most widely known. There are many other endangered species within more localized habitats. Maybe you even know of some close to where you live. “The appreciation of wildlife goes beyond merely what they have given us,” says Rosolie. “Wild animals have their own inherent value, their own reasons for existing. There are many species capable of making tools, sharing innovations, and having complex thoughts and emotions. They, like us, have families, endure struggles, feel pain, experience joy, and even play with one another.” I know you can testify to the truth of Rosolie’s words. Recently, I saw a heartbreaking photo of orphaned baby elephants wearing small blankets on their backs. Placed there by animal aid workers, the blankets were meant to simulate the feeling of their mother’s trunk draped over them for comfort and protection. These babies were not orphaned by Nature, they were orphaned by us. We humans are now the dominant population on planet Earth with numbers greater than 7 billion. How have we been treating our fellow inhabitants? You may have heard the term “sixth extinction” coined by scientists as an expression of how rapidly species and ecosystems are vanishing under our watch. Humans of an earlier era did not have the scope of knowledge we have about our planet and its complex workings—and the delicate balance of life. With our increased awareness comes increased responsibility and the need to take action. We can work to reverse the ongoing damage. We don’t want to find out what it would mean for us if wildlife becomes extinct. “Blessed are those who love animals, for they shall preserve the Earth!” What we love we protect. People around the world are working to help save endangered animals from extinction. Conservation organizations like the World Wildlife Fund, Defenders of Wildlife, Project AWARE Foundation, the Jane Goodall Institute and many others work to increase public awareness of the problems facing endangered animals, and by association, all living creatures. Opportunities to support the cause of animal welfare are global and local. You can help save creatures great and small, far and near—from the elephants in Africa to the local wildlife in that nature preserve your city is working to create. Every loving action counts. For more information on animals and what you can do to help save them, check out my newest course.